You can find the routine example of Sample Medical Sign-In Sheet i-e when you go to the doctor place then after arrival, your very next step is to register yourself after going to the registration desk. This registration is recorded in a Sing in sheet. 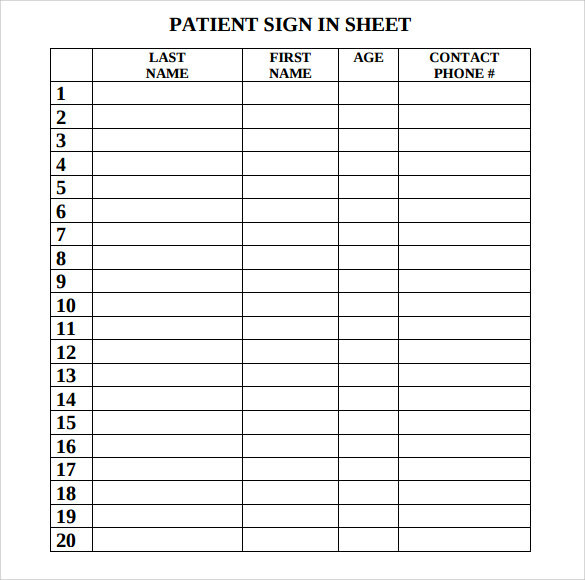 Medical Sign in Sheet Template also called a Patient Sign in Sheet specially designed for the doctor’s office where the record of patients is written. The record includes the patient arrival and discharge time sometime it also includes the patient allergy information, previous medical history and blood type which helps doctor to start the treatment keeping view patient medical information. You can find many samples of Medical Sign In Sheet over internet in PDF and DOC Format. 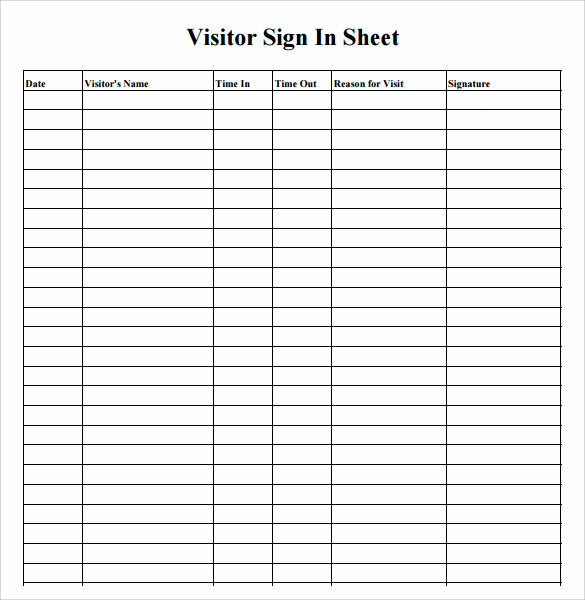 If you are going to the chamber of the doctor for a regular visit then the medical sign in sheets template is the first thing that you will need to fill up. This is a log that is maintained at all medical hubs, to keep a tab on the inflow of patients. With this template, you will be able to keep a clean record of the patients’ full name, phone number, age and other details. The template can be modified according to your requirements. Choose the one that fits your need in the best way. It is very important for the doctor to keep a note of all the patients he had attended on that particular date. 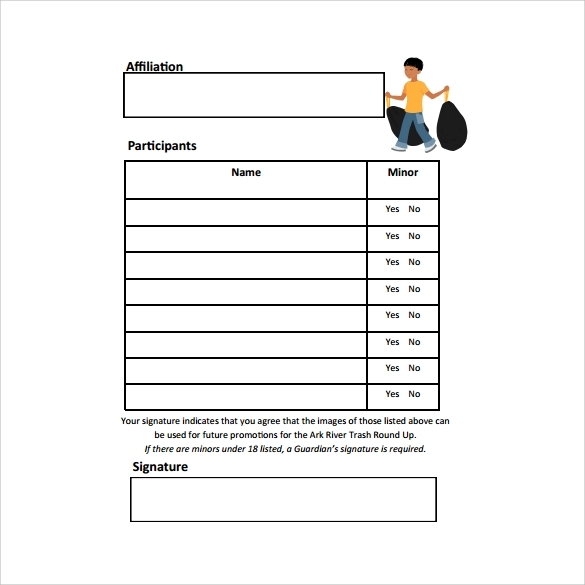 This can be made easy and systematic with the help of medical sign in sheet templates that are available on the internet for free. 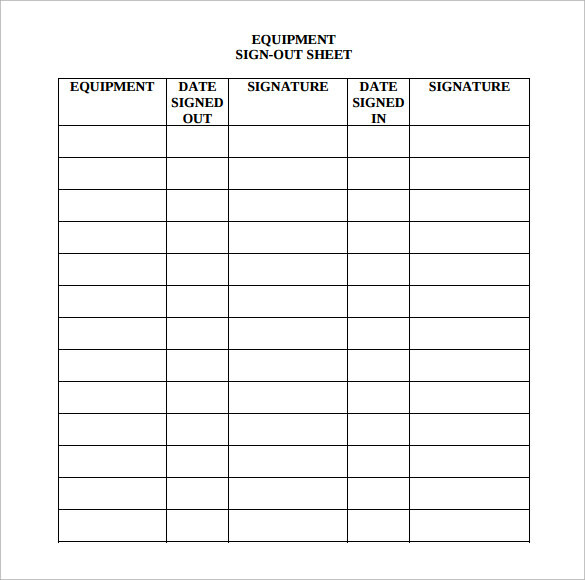 Why Do You Need Medical Sign in Sheet Templates? Doctors and care givers must have a record. They encounter numerous patients with different issues. What if they even need to find out which patient came in at what time or how many patients were attended? The medical Doctor Sign in Sheet templates come in handy at this time. These templates can be used to keep a note of all the patients, when they came in and when they left. 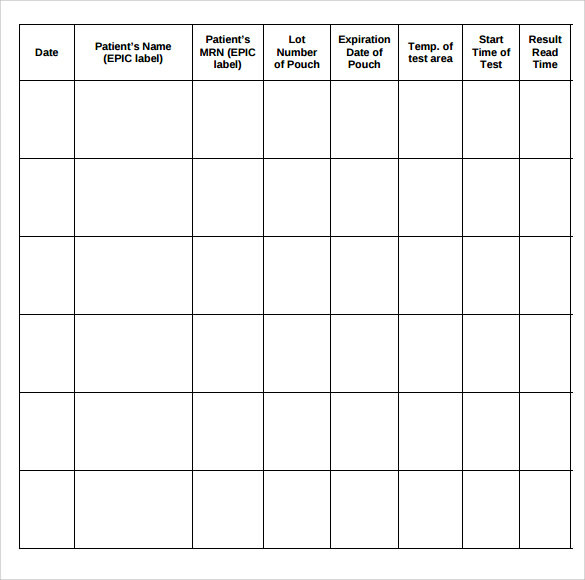 A sign in sheet will also help the doctor in maintaining a record of how many patients he visited on a particular day. What Are the Benefits of Medical Sign in Sheet Templates? If one wants to arrange the list of patients and details related to them without proper equipment, then he or she has to face a lot of trouble. 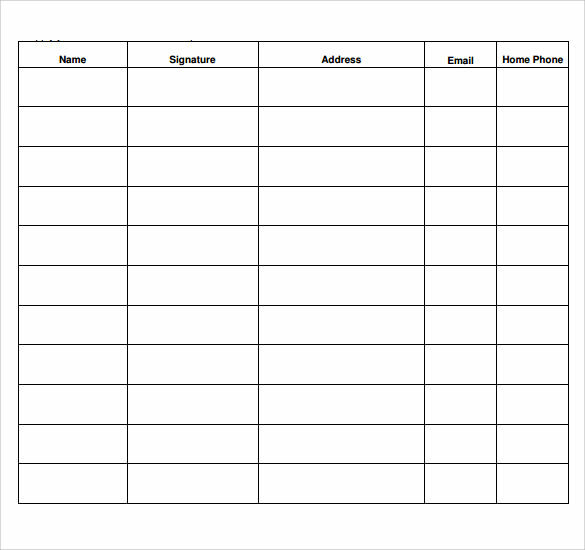 The medical sign in sheet templates will make it easy for you to do this in a clear and clean manner. These sheets will contain the list of patients the doctor attended, their time of arrival, departure and other details. The templates can be custom made to suit your needs. Thus, they can fit in any medical detail that you want to represent. You can also keep provision for filling in additional details of the patients. Who Is the Target Audience of Medical Sign in Sheet Templates? As the name suggests, these templates are mainly used by medical professionals. These templates are mainly used by doctors, for recording patient details. These templates are also used widely at the reception of any medical center. They need to monitor the inflow of patients in a systemic order. But, these sheets can also be used in the homes. These particularly come in handy when you are looking to keep a tab on the fluctuations of blood pressure or any other medical condition. These are readily available over the internet for free. Provisions can be made to record the blood type as well.